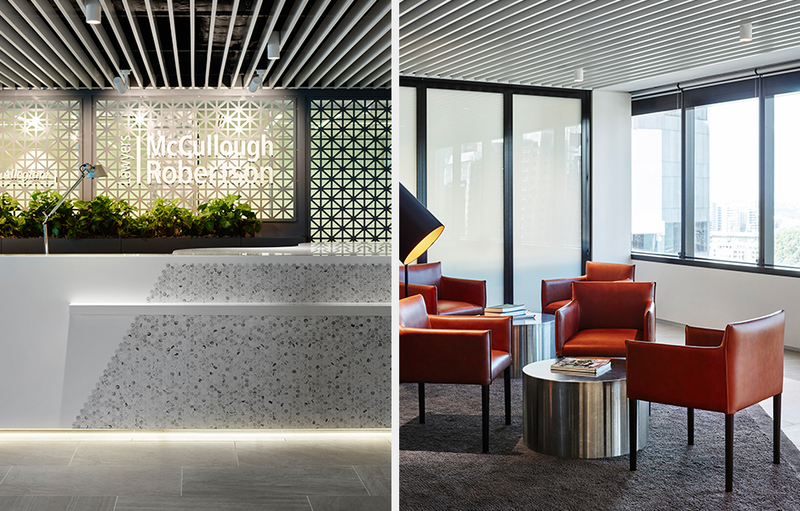 Based at Brisbane’s Central Plaza 2, McCullough Robertson sought to condense its operation into 4 floors by way of a significant refurbishment – and to be undertaken while remaining in-situ. 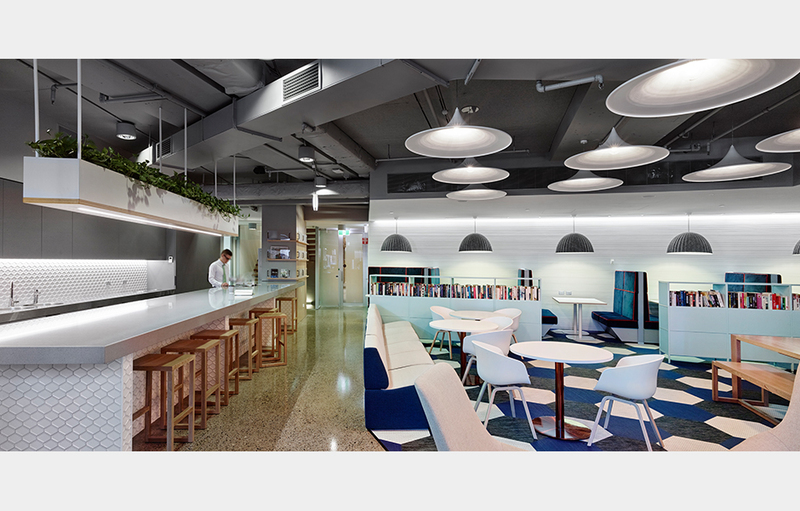 The extensive new fit-out needed to introduce on-floor efficiencies and foster cultural change through an open-plan approach, hinging on functional workplace drivers of flexibility, adaptivity, collaboration, community and the notion of ‘working together’. Working closely with the McCullough Robertson ‘Premises Committee’, Valmont discussed priorities for staff and goals for the workspace and provisioned for a largely open-planned area that would encourage a collaborative and community-minded work environment, maintaining the glass front perimeter offices and converting 30% of the remaining offices into dual offices to promote mentorship and equality. The concepts of geometry were woven throughout the space aesthetically, in form and finish, and also functionally, through the implementation of efficient work pod placement. 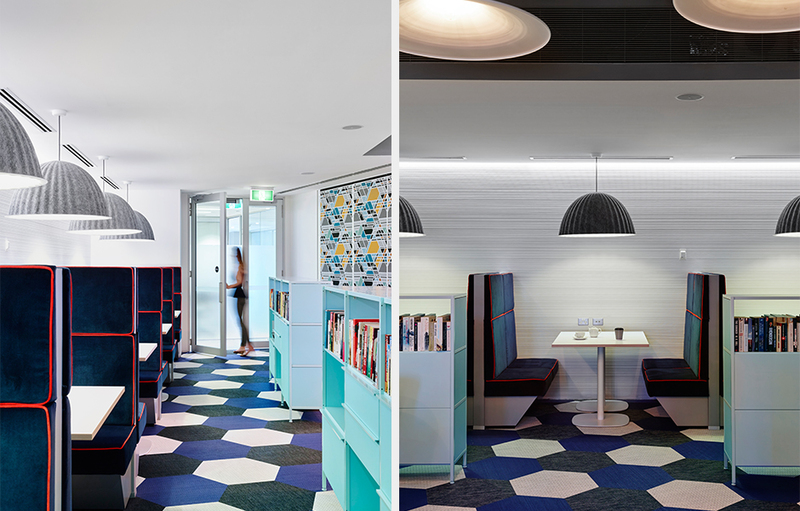 New generous and lively breakout spaces re-invigorated the desire to congregate internally, as well as with external clients in a less formal setting. A redesigned and repositioned reception and waiting space provide better visual access to Brisbane’s river views in a timeless and classic context. 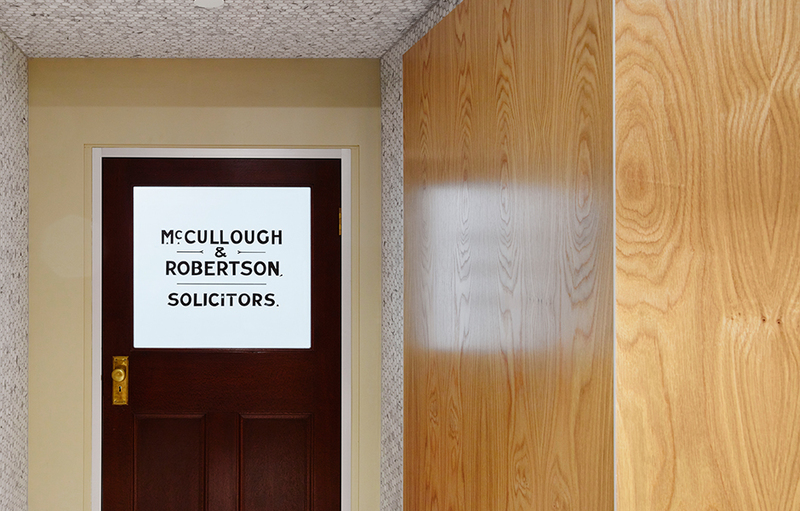 The success of McCullough Robertson refurbishment demonstrates that an in-situ refurbishment can provide the same outcome as an ‘as-new’ fit-out and result in a very satisfied client. 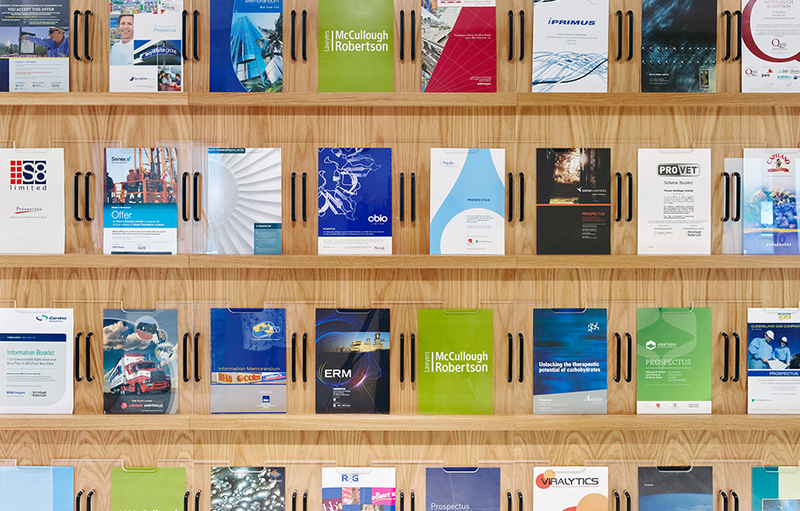 McCullough Robertson is a leading Australian law firm with 54 partners plus staff located in their Sydney, Brisbane and Newcastle offices. For over 89 years, major Australian and foreign owned corporations, financial institutions, governments, private enterprises and high net worth individuals have trusted McCullough Robertson’s advice on their most critical challenges.